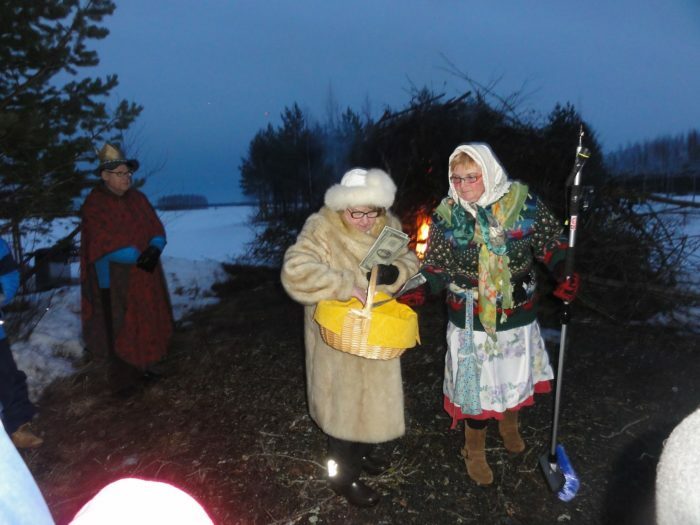 Rastas-Tiina lit the bonfire using her American dollars. Heikki of The Year and the leading ”Trulli” assisted. 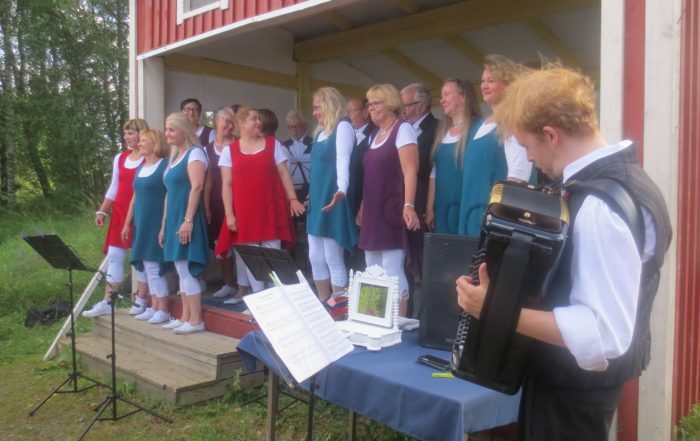 with local accordion players on Wednesdays from Midsummer to the middlle of August. with American and Finnish American topics. 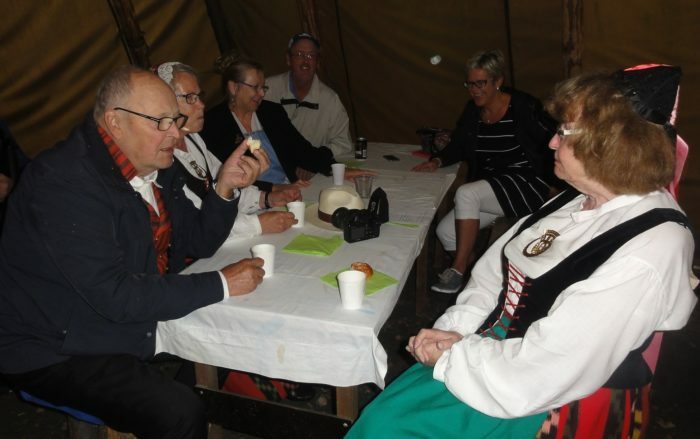 We wish to thank the Finnish Americans who were present at the event! There were lots of visitors at our event. 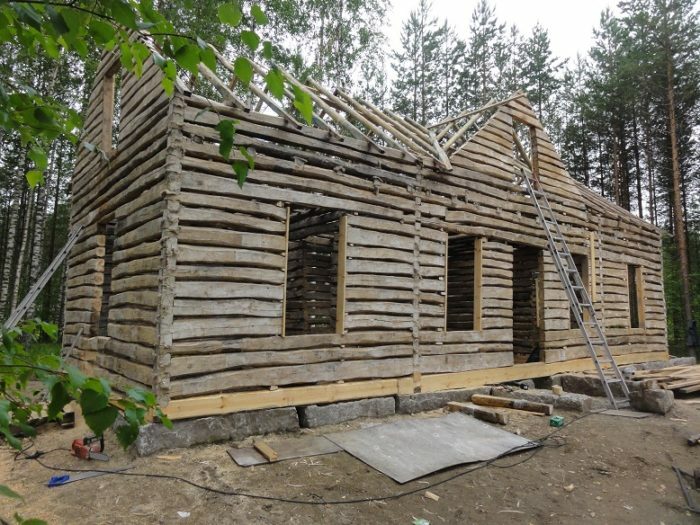 They learned how to knit ”rasat” and stockings, how to make home cheese and soap and how the traditional Ostrobothnian knife ”puukko” was made in the old days. Concert at the Church of Peräseinäjoki was great and wonderful! The leader of the orchestra Paul Niemisto said nice words about the acoustics in our beautiful church. The audience really enjoyed the music of the American Boys – And Two Girls. the annual fest at the World of Trails. We had special quests from USA, Canada and Australia. concert at the World of Trails. Boys of America septet played beautiful Finnish evergreens and greatest pieces of classical music. presentations by Ahti Tolvanen, Jouni Korkiasaari and Tellervo Lahti. Special guest Valerie Knuuttila came from Canada as a member of the Knuttila family, the donor of the Knuuttila house and hundreds of artifacts. Some of the Knuuttila family members from Finland were also present. 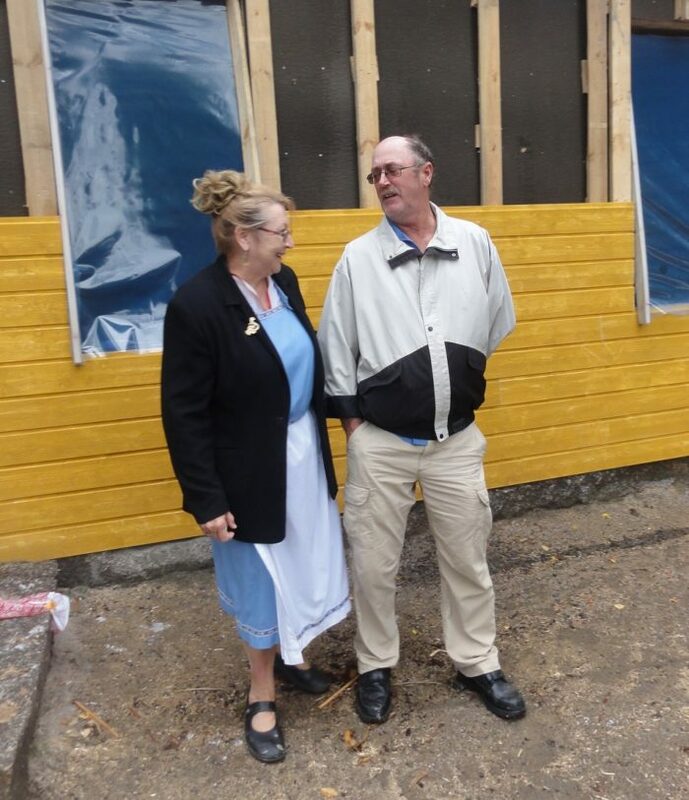 Traditional roofing ceremonies, menu, pie soup and beer. Accordion music and singing by a local quartet. A public event held in the tipi, a Laplander’s hut, at the World of Trails. Hundreds of visitors enjoyed the programme, some guests from USA were interviewed. 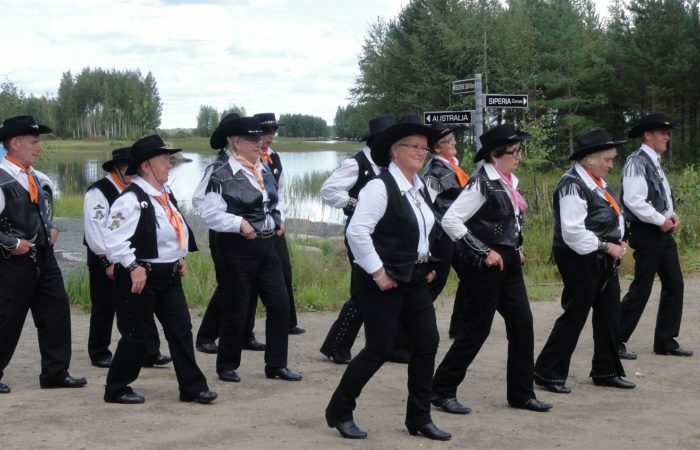 Country music concert, country dansers, old American cars’ show. 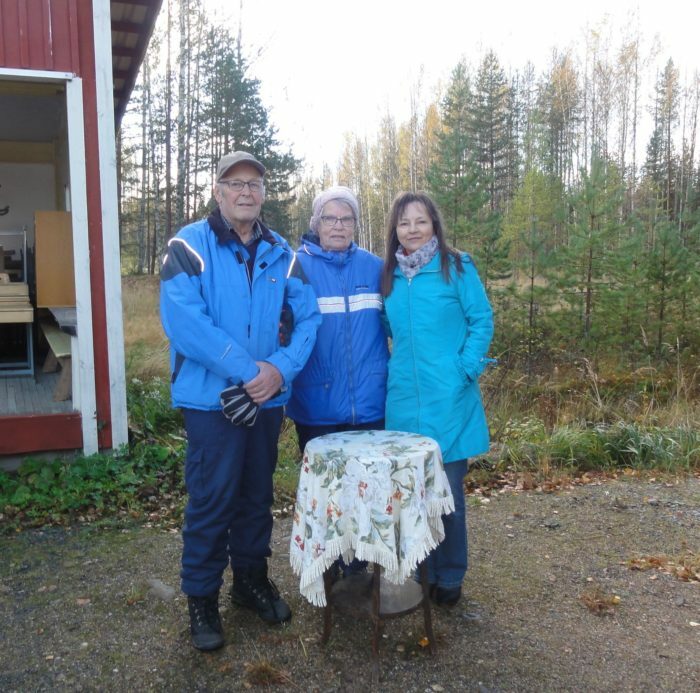 Esa Hakala from Florida USA and Valerie Knuuttila from Canada donated artifacts for Hakala and Knuuttila houses. 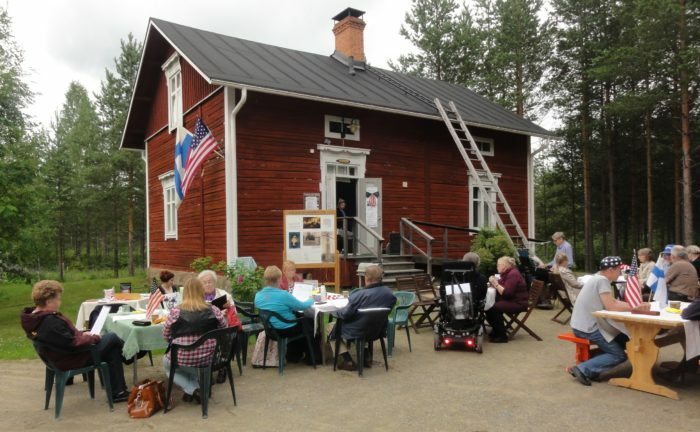 was held in Riihimäki, arranged with Ulkosuomalaiskulttuurin Seura, Seminar on Finnish American music and culture. Presentations: Pekka Gronow, Marko Tikka, Ahti Tolvanen, Tellervo Lahti. 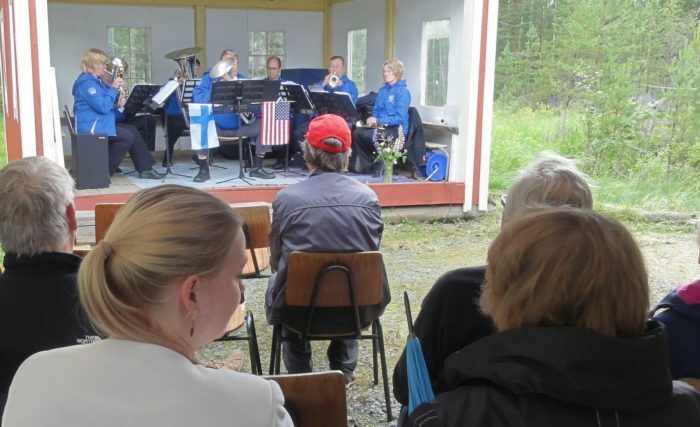 Evening entertainment at ”Iltamat”: imitator Reijo Salminen, several accordion players etc.